What it is: A natural-based skincare line from Clarins that's directed at Millennial (and younger!) skin concerns. The collection includes facial moisturizers, a facial mist, blemish spot control and more. Beauty bonus: The lotions are thick enough to moisturize but not at all greasy. Beauty bummer: While pleasant smelling, we found a few of the products to be pretty strongly scented. Overall: Even though our skin is *cough cough* somewhat out of the targeted demographic for this line, we still liked the results. Skin felt hydrated and perfectly prepped for makeup application after using the RE-BOOST Refreshing Moisturizing Cream. 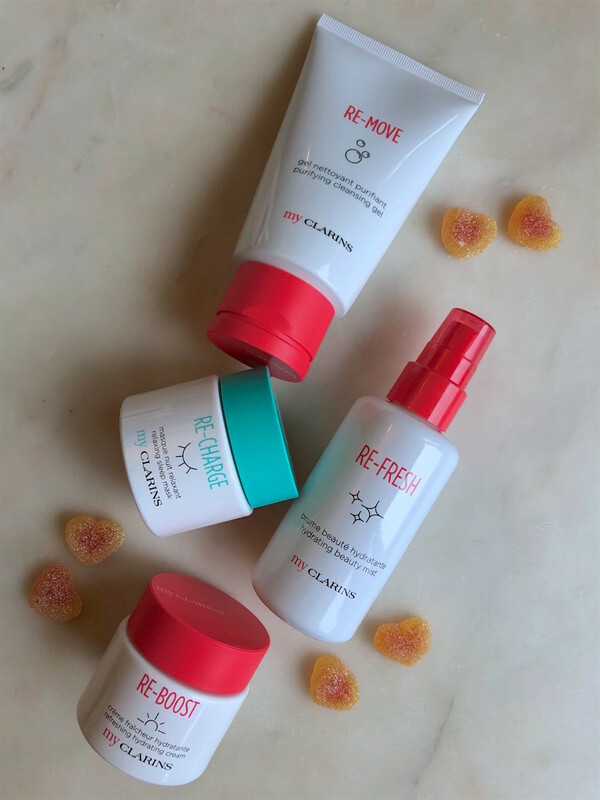 The RE-MOVE Purifying Cleansing Gel came out of the bottle very fast, leaving us with way too much (small gripe, we know, but we're not one to waste products). Skin felt very clean but not stripped after use. Plus, we're big fans of big brands embracing elements such as more plant-based ingredients and recycled packaging. Would recommend? Yes, especially given the affordable price point and mostly natural ingredient makeup.